Connect in partnership with Faith Broadcasting Network as we join hands to spread the Gospel across the Continent of Africa and beyond. Partner with our vision at www.myfaithtv.com. 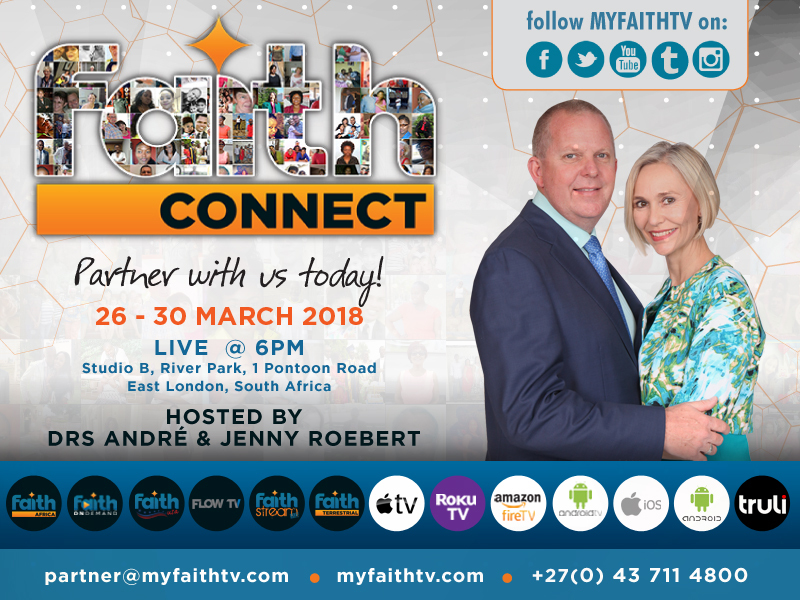 Join us for the first Faith Connect for 2018 from the 26 - 30 March from 6pm - 10pm every night. All evening meetings will be televised live on Faith Africa (DSTV channel 341), Flow Africa (Kwese channel 825), Faith Terrestrial (Sentech channel 501), FlowTV (Sky channel 595) and Faith USA (Dish Network 269).